Saudi efforts to isolate Iran internationally are producing results in North Africa and Central Asia. Authorities and religious leaders in Tajikistan and Algeria have in recent weeks accused Iran of subversive activity and propagating Shiism while Morocco last month announced that it was breaking off diplomatic relations with the Islamic republic. While similar accusations have been lobbed at Iran in the past as part of a four-decade-long covert war between Saudi Arabia and the Islamic republic, the more recent incidents suggest that the Saudis are increasingly focussing on isolating Iran diplomatically. In doing so they are benefitting from ultra-conservative Sunni Muslim Islam’s appeal in North Africa and Central Asia even if Saudi Arabia is believed to have substantially reduced its financial support for Salafi and other groups. At times, like in the case of Algeria, a country in which Shiites account for at most two percent of the population and that has seen an increase in popularity of Saudi-inspired Salafi scholars, the allegations seem to involve above board Iranian activities that are unlikely to have the alleged effect of fomenting sectarianism. The anti-Iranian campaign at times also appears to be designed to pressure countries like Algeria, whose relations with the kingdom are strained because of its refusal to adopt anti-Iranian Saudi policies. Algeria supports the embattled 2015 international nuclear agreement with Iran as well as Iran’s presence in Syria and has refused to declare Hezbollah, the Iranian-backed Lebanese militia, a terrorist organization. In the most recent incident, Ash-Sharq Al-Awsat, a pan-Arab, Saudi-owned newspaper, quoted, former Algerian Ministry of Religious Affairs and Endowments official Idah Falahi as demanding the withdrawal of Iranian diplomat Amir Mousavi because of his “extensive contacts with civil society groups, through Facebook and social media” and alleged attempts to meddle in the dispute between Morocco and Algeria over the Western Sahara. Morocco last month broke off diplomatic relations with Iran, alleging that Tehran had provided financial and logistical support as well as surface-to-air missiles to the Algerian-backed West Saharan liberation movement, Frente Polisario, using Hezbollah as an intermediary. Both Iran and Hezbollah have denied the allegation. “It…became apparent that Mousavi was in fact an Iranian intelligence agent, whose remit was to interfere in the dispute between Algeria and Morocco over the Western Sahara conflict,” said Ash-Sharq Al-Awsat columnist Tony Duheaume. The newspaper reported that Iran was seeking to recruit Algerian Shiites who travel to the holy city of Karbala in Iraq and was using Iranian companies as vehicles to promote Shiism. “With the launching of a production line for Iranian vehicles, plus another for the production of medicines, and with the two countries boosting their cooperation enormously in the private sector, Iran has ensnared Algeria through an ongoing succession of trade deals,” Mr. Duheaume said. The newspaper quoted Algerian member of parliament Abdurrahman Saidi as charging that Iran was attempting to create a Shiite movement in North Africa. “The Algerian state is aware today that it faces the risk of sectarianism,” the newspaper asserted. Algerian minister of endowment and religious affairs Muhammad Issa last year compared Iran to the Islamic State in an interview with a Saudi newspaper amid a growing anti-Iranian sentiment in Algeria. Iranian President Hassan Rouhani cancelled a visit to Algeria after an Arabic-language hashtag, #No to Rouhani’s visit to Algeria, went viral. “It is difficult to corroborate allegations made in the Asharq al-Awsat report. It is also unlikely that Tehran would be able to significantly expand its influence in Algeria through the Shiite community,” said Ahmad Majidyar, the director of the Washington-based Middle East Institute’s IranObserved Project. Its equally difficult to verify a link between Saudi-inspired Salafism’s increased popularity and rising anti-Iranian sentiment, but the development of anti-Shiite sentiment is not dissimilar to growing intolerance, anti-Iranian sentiment and anti-Shiism in countries like Tajikistan, Pakistan, Malaysia and Indonesia where the influence of Saudi-inspired religious ultra-conservatism is expanding. Developments in Tajikistan, ironically a nation that has linguistic and cultural links to Iran, mirror the growing anti-Iranian sentiment in Algeria. Tajikistan’s Council of Ulema or Islamic scholars, this month accused Iran of trying to destabilize the country. The council charged that Iran was funding Muhiddin Kabiri, head of the opposition Islamic Renaissance Party (IRP), that has been designated a terrorist organization by the government. The council’s statement came days after anti-Iranian demonstrators in front of the Iranian embassy in Dushanbe demanded the return of Tajik religious students from Iran and accused the Islamic republic of supporting extremists and planning assassinations. Iran has in recent years suspended charitable operations in the capital Dushanbe, including a hospital managed with Tajik health authorities, and halted its economic and cultural activities in Khujand, Tajikistan’s second largest city, on orders of the government. “Nowhere is this contrast between the hyped-up Iranian threat and reality more evident than in Tajikistan,” said Eldar Mamedov, who is in charge of the European Parliament’s delegations for inter-parliamentary relations with Iran, Iraq, the Gulf, and North Africa. Iran helped negotiate an end to Tajikistan’s civil war and an agreement between President Emomali Rahmon, a former Soviet Communist Party official, and the IRP. Mr. Rahmon, determined to demolish any opposition, banned the IRP in 2015. 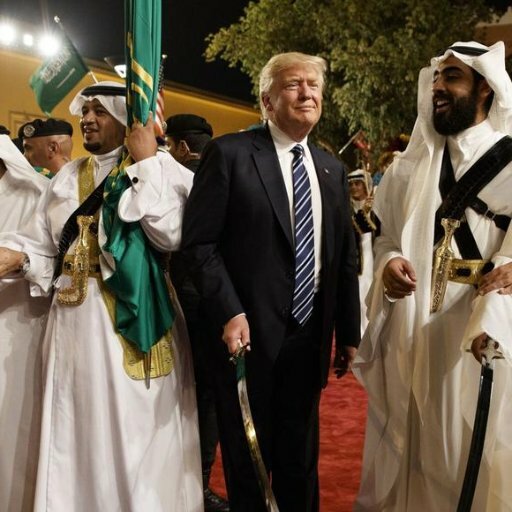 The stirring of the anti-Iranian pot coincided with a Saudi effort to woo Mr. Rahmon who was invited last year to an Arab-Islamic summit in Riyadh with Donald J. Trump during the US president’s visit to the kingdom despite the fact that he is a bit player on the global stage. Tajikistan was earlier invited to join a Saudi-led Muslim counter terrorism force. Like in Algeria, it also coincided with rising popularity of Saudi-inspired ultra-conservatism in Tajikistan. In a move that garners favour in Riyadh, Tajikistan has opposed Iran’s application for membership in the Shanghai Cooperation Organization (SCO) that requires approval of membership by unanimous vote. Iran has observer status with the SCO, while Saudi Arabia has yet to establish a relationship. By stirring the pot, Mr. Rahmon has a vehicle to maintain his iron grip at home and garner investment and financial support from the kingdom. Saudi Arabia agreed last month to acquire a 51 percent stake, in troubled Tojiksodirotbank (TSB), Tajikistan’s largest bank. The Saudi investment was a life saver after other investors, including the European Bank for Reconstruction and Development (EBRD), turned the opportunity down. I have ZERO use for man-made religion (all denominations), including twisted versions of Christianity. I am Christian. Its all got to go. Having said that, In the contest between Iran and Saudi Arabia, I think the world – where people are still free to inform and educate themselves – knows what kind of monsters run Saudi Arabia, its tools and its boss, uncle Sam. Their day is fast approaching. That’s not bravado, which I actually don’t like. There is also a huge increasing of Anti-Islam sentiment in Europe that Al Masdar UAE news never talk about it, Austria today closed many muslims mosques and expelled 60 Ahl Al Sunna Imams backed by Merdogane and it is just the beginning. Everyone know that the Ahl Al Sunna and Saudi Arabia etc without their western protector will be eaten by Iran and the shiites heretics. Now when did a Shia soldier kill a American or israeli soldier last time? siyonist işitçi bekir.He is siyonist dog’s. Hi Daddy, please don’t argue with people Daddy. Remember our loving moments in the bath Daddy and late at night in my bed with your special Daddy massages? Just be calm Daddy everything is gonna be alright, The pay checks from Israel and Saudi Arabia are still rolling in for you. Maybe you can save for that gay harem you have been dreaming of for years? Peace love and mung beans Daddy.